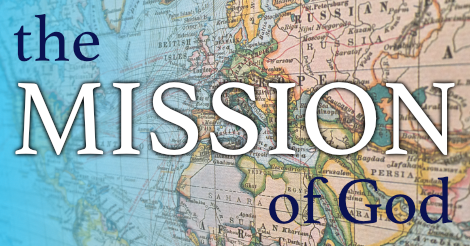 ​In this series of talks we will look at the Mission of God and how each one of us are can cooperate and contribute to what God is doing, locally, nationally and internationally. Followers of Jesus join in with the Mission of God. In this talk Nick explains what Mission is and how we can be a part of God's Mission of transformation. Jesus said "As the Father has sent me, so I send you. "(John 20.21). We have been sent. We are called to serve God's Mission by living and proclaiming the good news, by being witnesses of what we have seen and heard. “We are on a mission from God” but what does this mean for us. In this talk, Mark explains how we have been blessed for a purpose; to pass on that blessing. We are invited to be a part of God’s chosen people and God’s rescue plan for all humanity. This happens as we move closer to God and move out to those around us. The question is, "Who are you going to?" What do you do when you discover something amazing? You either keep it all to yourself or you share it. Life is a journey of discovery and transformation. In this talk, Nick explains that it is through the pages of the Bible that we discover who God is and the Story that restores humanity. As we read, obey and share the bible, we invite others to discover the Jesus who rescues and restores us. Is your way of life attractive to others? Does your faith attract people to worship God? In this talk Nick challenges us to live in such a way that draws others into God's presence, to live as people who attract others to God. In the busyness of life how do we join with God on His mission as families? Families are essential in His plan for restoring humanity, but as we know being in a family is often 'complicated'. In this talk, our Associate Pastor, Jude Harbour, shares how we tell God’s story by our lifestyle and how each family can live missionaly. Are you a parent? Click on the link below for a free resource from the Verve Network on building a Missional Family. This gives some great resources on what it looks like to build a marriage, raise children and build a family around Jesus, the gospel and mission? Mission is Transformation. In the final talk in this series, Nick explains our vision and strategy for Mission at Coventry Vineyard. It can be summed up in one word: Form. We seek to 1) Be Formed, 2) Form Friendships, 3) Form Community, 4) Form Leaders, 5) Form Churches.